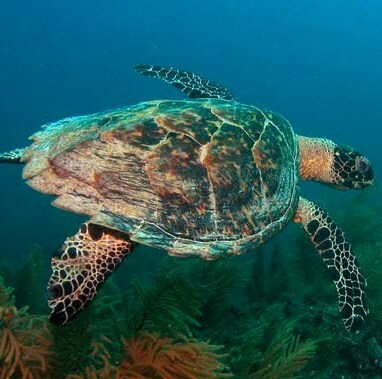 (CNS): An opposition motion to review the price of turtle meat was rejected by the government yesterday afternoon when the premier offered his backing to the recent decision by the farm management to triple the price. The premier said the increase was about reducing demand for the meat to sustainable levels until the farm could tackle the problems of supply it faced as aresult of difficulties with the breeding programme. McKeeva Bush explained to the Legislative Assembly that while it may be the country’s national dish and a cultural tradition enjoyed by Caymanians, no one was addicted to turtle meat and no one would die if they couldn’t afford to eat it for a while. Bush was responding to the opposition’s suggestion that government review the prices again as their constituents had made considerable representations to them. Leader of the Opposition Kurt Tibbetts, who submitted the private member’s motion, said he had concerns people would turn to poaching if they could no longer afford to buy it from the farm. “It may seem like a frivolous motion but there has been tremendous representation to us, especially from constituents in the Sister Islands,” he said, noting that Moses Kirkconnell had seconded the motion. Tibbetts asked government to apply some of the $9 million subsidy that Boatswain’s Beach receives from the public purse to cover any losses incurred in producing meat to enable local people to still have access to the meat sometimes, even if the supply was restricted. However, Bush told the opposition leader that this was a make or break situation for the turtle farm and that it needed these increases to balance the demand to realistic levels and give the breading programme a chance to restore the stocks. If not, he said the farm would simply run out in less than 18 months time. He also stated that the farm was moving towards a policy that what was sold had to cover its costs and the new price reflected the true cost of production as well as the whole issue of sustainability. “If it sells for anything less it won’t sustain production,” the premier emphasized. He also noted that, at present, by selling the meat at less than its true cost the turtle farm was subsidising commercial restaurants. But, he said, despite the increase the price still compared favourably to other foods such as Maine lobster, rack of lamb and filet mignon, and that people had to understand that while it was a Caymanian traditional dish it was a luxury food. “How can we charge so very little for something so precious?” the premier asked. Contributing to the debate, Kirkconnell said there was not a single member in the House who did not want the turtle farm to succeed but he believed his constituents on the sister Islands were considerably less close to the other benefits offered by the turtle farm than those on Grand Cayman. With the price hike he said they could no longer afford to buy the meat and they would likely poach it. He said he hoped the management at Boatswain’s Beach could find a way to make it affordable so Caymanians could buy it. (CNS): The first ISAF (International Sailing Federation) Instructor training programme (Level 1 Technical Course for Coaches) was run in the Cayman Islands during the week of 10th February 2010, with eight local candidates taking part and successfully completing the five day course.The participants were all Cayman residents: four of them were Cayman nationals, one Jamaican and three British expats. ISAF Trainer Tom Wilson hopes this will be the start of developing Cayman’s trainers and coaches. The successful candidates were Alex Walton, Chris Delaney, Marina Maffessanti, Rory McDonough, Elena McDonough, Thomas Hanson, Ronan Jennings and Daniel Ward. The aim behind the course was to enable the club to employ and use local people rather than using staff from overseas. Mike Weber, the manager of the sail training programme, is the man who is actively involved in the day-to-day running of the centre. He was instrumental in helping make this course a reality, in close liaison with the Cayman National Olympic Committee who applied for the Olympic Solidarity funding that made it happen. 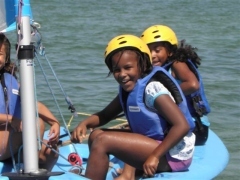 Currently the Cayman Islands Sailing Club provides racing and training for the members and also delivers sessions for the local primary schools. Weber is really keen to develop both this and the instructor training further. In addition he is aiming to inspire a new age of instructor development for the Caribbean ISAF Member nations as a group. The course started with an assessment of the candidate’s sailing abilities, an introduction to teaching and how it links to sailing. On the second day concepts such as managing groups on the water and how to deliver feedback were introduced. By the third day the candidates had the opportunity to teach some ‘real’ students. The ‘real’ students were local primary school children who were being taught to sail as part of the government’s learn to sail initiative. This allowed the students to put all of their newly acquired skills into practise; both the children and the candidates had a great time. Some more real students from the Talent Identification Programme joined in on day four and spent some time coaching one another. Performance profiling was the aim; identification, correction and development of personal sailing. To finish the day the candidates looked at designing some ‘games with aims’, to bring an element of fun to the teaching. After brain storming some ideas they went afloat, played them and then looked at the teaching aims that could be developed through playing the games. Day five started with a formal assessment to check each candidate’s understanding of background knowledge and theory of teaching sailing. A selection of the students ran some race sessions for the rest of the group. On the final afternoon the instructors ran a ‘Laser Pico regatta’ with a series of normal races and finished with a ‘fun’ race. While one is reluctant to kick a country when it’s down, sometimes it needs to be done. The Cayman Islands—specifically Grand Cayman—feels like a society on the brink these days and we are long overdue for some frank talk. We are too down the road now to worry if feelings may be hurt. Violent crime has become commonplace and there can be no hope of reversing the trend without an honest assessment of what went wrong in the first place. Yes, better police work, improved intelligence gathering, more tips from the public, and public security cameras are relevant to the discussion. But all of these only address the symptoms. They do not get at the roots of Cayman crime. First of all, it is unlikely that the sort of crimes making headlines these days—rapes, machete attacks, armed robberies, and murders—are a result of economic desperation as many people claim. Many of these crimes are related to greed, perhaps, but certainly not literal hunger and deprivation. We must keep in mind that any healthy young Caymanian male who knows how to set an alarm clock and dress himself in the morning can easily get and maintain a job. If nothing else, he can get a job on a dive boat or in a fastfood restaurant. No matter what the whiners say on our radio talk shows, employment is not a crisis here. Advancement may be a problem in some cases, yes, but basic unemployment is not the driving force behind murders and bank robberies. There are many thousands of foreigners here on work permits. Labor demand is monstrous compared to the population of work-age Caymanians. Therefore, it is ridiculous to suggest that vast numbers of Caymanians cannot find employment and have become desperate predators as a result. The job they prefer may not be available but surely some job is. And for straight-thinking people any job, even a low-paying one, is preferable to robbing and killing people. No Caymanian male is driven to violent crime in this country out of rock-bottom economic desperation. Most likely they pick up a machete or gun because they are pathologically greedy, wounded by bad parenting, or simply because they joined up with the wrong pack of peers. The reality is that young Caymanians find themselves in one of the world’s most fortunate situations. Being a Caymanian in the Cayman Islands is about as good as it gets for a young person concerned with job opportunities and job security. Just ask a typical teenage boy in Zimbabwe, Yemen, or Mexico if they wouldn’t jump at the chance to have the sort of job prospects taken for granted here. People who continue to claim that our violent crime is about poverty and unemployment are not only wrong, they are distracting us from real problems we need to be focusing on. It may be a boring explanation, but much of the new crime we are experiencing is probably due to nothing more than our population rise. We have grown very fast, doubling our numbers in less then 50 years. It makes no sense for people to complain that the crime rate is not the same today as it was back when our population was less than 25,000. More people inevitably mean more criminals. Still, we seem to be suffering far too many violent crimes for a “gun free” society with a population well under 100,000. Clearly something has gone wrong with too many of our young men. Maybe we need to reconsider our approach to raising boys. We Caymanians love to talk about using “the strap” on children and raising them up in the church. But do these things really work as advertised? It’s a safe bet that virtually every thug who is terrorizing Grand Cayman today was beaten frequently and taken to church often as a child. Spanking is very popular here and, according to a government report, an overwhelming majority of the Caymanian inmates at Northward Prison attended church regularly in childhood. Maybe it is time to rethink those two revered pillars of childrearing. Perhaps Caymanian children need more love, guidance, and attentionand fewer beatings. Perhaps in today’s world Caymanian children need a little less prayer and a lot more homework. The police make an easy target for complaints, but they don’t deserve 99 percent of the blame heaped on them by the public. If criminals are the fire that threatens us, our police should be viewed as firefighters. We must focus our anger on those who set the fires in the first place. So who are these social arsonists? Why, they are our politicians, of course. Who else but them could have engineered such a rapid descent to barbarism? Cayman’s elected leaders of the last three or four decades seem to have done everything possible to bring about the current crime wave. Despite past economic booms and a small manageable population, they failed to invest in the things that keep societies healthy and safe. They failed to respond to problems that obviously would not correct themselves. There is no great mystery about the things that should have received meaningful attention in recent decades. Just ask a teacher in a government school about childhood illiteracy and behavioral problems here. Ask a couple of veteran nurses at the government hospital to share some of their horror stories with you. Ask a high-ranking civil servant how much money is wasted on egos and paybacks at the ministerial level. Cayman did not fall apart, our politicians tore it apart, thanks to their greed and inaction. Instead of confronting growing social problems our leaders consistently pretended they did not exist. Cayman’s politicians have not spent all of their time dodging responsibilities, however. They also made sure to nurture a culture of dependence. This is why today one so often hears defeatist comments from Caymanians who should be working hard to seize opportunities and determine the course of their own lives. They scream, “Government isn’t doing anything for me!” when they should be so busy taking night classes and working their way up from entry level jobs that they have no time to think about what government is or is not doing for them. Our politicians have thrived amidst these corrosive feelings of entitlement and dependence. They spent the bulk of the last few decades bickering and blustering over meaningless matters in the Legislative Assembly while the country was steaming toward crisis. Anyone over the age of 10 who has ever listened to a Radio Cayman replay of the day’s Legislative Assembly proceedings is sure to agree. Sometimes the stupidity and negligence of our politicians is borderline criminal. Does anyone remember back in the 1990s when one of our government ministers declared that there were no criminal gangs in the Cayman Islands? When pressed to admit the obvious, he would only say there may be some “groupings” of young students but definitely no gangs. CITN hosted a live talk show about crime in the mid 1990s. Several members of the public phoned in pleading for the government to take gang activity seriously and to do everything possible to eradicate it before it became deeply entrenched and lives were lost. The callers pointed to gang crime in other countries and asked why we couldn’t learn from their experiences and avoid their mistakes. As usual, our politicians did nothing and look where we are today. The reason politicians deserve blame for Cayman crime today is not because of one or two failings here and there. It is because collectively they have behaved as if they are either incredibly dumb or simply do not care about the deterioration of our society. How much brainpower could it have required 20 years ago to recognize that Cayman was heading for serious trouble with its young males? If nothing else, the fact that increasing numbers of children and teenagers were slipping through school without an adequate education should have panicked every politician. Anyone would have taken meaningful action to defuse a ticking time bomb of too many aimless and illiterate or semi-literate young men coming out of high school every year. Well, anyone except a Cayman politician, that is. Based on their record, it seems clear our “leaders” are obsessed with votes, ego, power, and money at the expense of all else. The safety and welfare of the people in this country clearly are secondary to those concerns. Bad as our politicians are, however, it is the voters themselves who are deserve the greatest scorn. That “majority of voters,” whoever they are, keep putting these inferior politicians into the LA to sink us all. They repeatedly give immense power to liars and buffoons who eagerly exploit their own homeland for personal gain. Whether they are tricked by childish speeches about God’s blessings and expat invasions or coldly trade their votes for bottles of beer and washing machines, these voters have doomed their country by placing incompetent and corrupt people at the helm. Cayman is a society that derailed itself long ago. For too long we have been trapped inside a perfect storm of greed and incompetence. Most disheartening is the fact that there are intelligent and honest Caymanians out there who could have served this country well. But their kind never ends up in the Legislative Assembly. Few if any of them ever even try. Perhaps they are too dignified. Maybe they just can’t bring themselves to swindle simple-minded voters with empty words and kitchen appliances. Therefore, we keep playing the same game with the same players every election year, and we keep ending up with the same dismal results. Given the dysfunctional nature of our government leadership over so many years, is it really surprising that we now have armed predators roaming our streets? One might argue that the only surprise is that things are not worse. (CNS): Come Monday, 1 March, a lobster dinner could cost CI$500,000 plus jail time, as the 9-month closed season for lobsters begins. 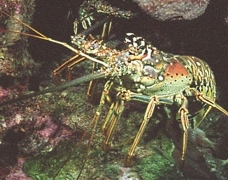 No one may take lobster from Cayman waters , or purchase, receive or possess lobsters taken from Cayman waters, throughout the closed season, which runs through 30 November. The Department of Environment (DoE) is reminding the public that violation of this and any of the Marine Coservation Laws is an offence carrying a maxiumum penalty of CI$500,000 fine and one year in jail. Upon conviction, forfeiture of the vessel or other equipment may also be ordered. The change will “further streamline efforts and facilitate greater efficiency” in the licensing process, government promised. “With direct access to licensing information, DCI will be better able to track the success of inward investment and small business development programmes, and thereby provide the statistical information needed to make sound economic policy decisions,” the department said in a release. The Department of Commerce and Investment is now responsible for stimulating and facilitating appropriate, long-term, inward and local investment in the Cayman Islands, providing technical assistance to local entrepreneurs and small businesses and linking investors with potential customers, suppliers and other business partners. Premier McKeeva Bush told the Legislative Assembly yesterday (Thursday 25 February) that a number of changes were underway with regards to the policies surrounding Trade and Business when he adopted a motion by independent MLA Ezzard Miller to also set up a fair trade commission, which would include consumer protection as well as protection for Caymanian business owners facing unfair competition for large foreign own companies. He told the House that the transfer of the T&B office was the first step in a number of changes which would help local business. Bush said there would be a review of the licensing prices, which currently sees the smallest of businesses pay the same as large commercial enterprises, and the board was currently examining a number of issues relating to the local business environment. The move for T&B is effective from Monday, 1 March, and the T&B office will officially become a unit within the Department of Commerce and Investment (DCI). The Trade and Business Office is located at Sussex House, Elgin Avenue, and hours of operation are Monday to Friday from 9:00 am to 12:00 pm and 1:00 pm to 3:00 pm. From now on all applications for T&B licenses must be submitted directly to the Trade and Business Licensing Office at Sussex House, Elgin Avenue and all payments for T&B licenses must be made at the Trade and Business Licensing Office: Trade and Business Licensing Office, PO Box 10493 APO, Grand Cayman, KY1-1005. Trade and Business Licensing information can also be accessed on www.dci.gov.ky; downloadable forms will be available shortly, the office stated. For more information, contact the office on 244-2067 or 244-2086. Duguay also noted that the PAC had only addressed part of the conclusions in his reports, in particular with regards the financing of Boatswain’s Beach. “The PAC comments only address the part of the conclusion that favours government and the reader could assume the AG’s office had found that was a good deal, which was far from what our report concluded. The government spent at least $1.6 million unnecessarily and I can’t say that was a good deal,” Duguay added. (CNS): The government has accepted a private member’s motion moved by Ezzard Miller to address the problems of unfair competition for Caymanian businesses as well as tackling the problem of ‘fronting’ and introducing consumer protection. The independent member’s motion was seconded by opposition party member Arden McLean and passed through the Legislative Assembly with agreement from all sides. The motion from the North Side MLA proposed that government introduce a Fair Trade Commission and supporting legislation that would offer security to Caymanian business owners in the face of large conglomerates, which Miller said were, with their “deep pockets”, undermining the ability of local businesses to compete fairly. While members on both sides of the House were quick to suggest that they did not support protectionist policies while supporting the private member’s motion, Miller made it clear that the motion was concerned with protecting local business from major companies that were supported by overseas cash. Companies, he said, that drive local Caymanians out of business. The House’s only independent representative said he was seeking to protect local business from unfair competition and the country needed a regulatory authority that could assist that went beyond the current powers of the Trade and Business licensing board and encompass fair trading criteria. “Competition is good but when the playing field is not level it is not fair,” he said, adding that where foreign investors had deep enough pockets they could take the losses while they drove local businesses away only to come back with vengeance and make their profits many times over once they had gotten rid of the local competition. He said a fair trade commission would properly regulate the business environment, act as a watchdog, police the emergence of monopolies, as well as price fixing and offer properchannels for consumer complaints. “I believe a fair trade commission would be a step in the right direction to offer support to the people we have been sworn to represent in this legislature,” Miller said. He pointed out that it was incumbent on government to help Caymanian businesses and protect them from powerful outside forces. 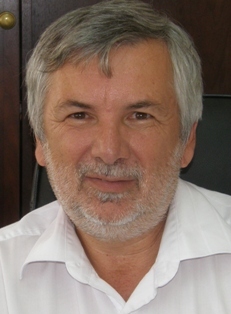 The motion was support by opposition member Arden McLean, who said he knew that protectionism was a dirty word but there were many genuine concerns regarding the issues surrounding fairness for local business in general, and he pointed in particular to the problem of fronting, where some Caymanians offered to put their name to a business to be the 60% local partner while having no real interest in what was essentially a foreign business. McKeeva Bush said government would consider the content and supported the motion. The premier noted that as a result of the transfer from Immigration to the new Department of Commerce, the Trade and Business Licensing Law was being reviewed and fair trade issues were all part of the new reforms that would be coming. Bush said while one had to be careful of protectionism, it was common to have fair trade legislation to create level playing fields. He said a long list of categories of business were already being allocated as the preserve of Caymanians and the government would consider incorporating the suggestions in Millers motion as the new regulations surrounding local business and assistance to entrepreneurs was developed. Rolston Anglin also spoke in favour of the motion, as did Ellio Solomon, but in his support Solomon managed to break the protocols of the Legislative Assembly in the way he insulted Miller, the mover of the motion. Although members of the House commonly take digs at each other across the floor during their debates, there are certain boundaries and protocols about how the less than favourable comments are delivered — ones which Solomon breached during his contribution on the motion. Following Solomon’s suggestion that finally someone on the opposite side of the House “had grown a brain”, Miller pointed out to Madame Speaker that the fourth elected member for George Town had overstepped the boundaries. She agreed and later called Solomon to her chambers. According to the rules or standing orders, Solomon could have been suspended from the chamber. However, he remained in the Legislative Assembly for the rest of the sitting. During his closing contribution to the debate on his motion, Miller pointed out to the House that the members were observing the ultimate exercise in self restraint following the various comments aimed at him made by the fourth elected member for George Town. “To say I have suddenly grown a brain is rather uncomplimentary,” said Miller, adding that the comments by the government member illustrated what had happened to the political arena in Cayman, which was not always for the best. He noted that what he did was for and on behalf of his constituents and it never ceased to amaze him how things done with the greatest intentions could, at the first opportunity, be denigrated, but he suspected that everyone would rise to their own levelsof competence or for that matter incompetence. “When I bring a motion to this House, it is on behalf of the people of North Side that I serve,” Miller noted. As he wound up the debate on his motion, the member for North Side and veteran of the LA, warned government that he would not be fobbed off with a feel good ‘yes’ and he would be waiting to see his motion become legislation in good time. Miller said he believed there was provision in the standing orders for him to draw up the legislation based on his motion himself and he would be looking at how to do that should he not see evidence of government taking his motion seriously now it was accepted. (BBC): Men seen as likely to be violent towards their wives could be forced to wear an electronic tag under a law being debated by the French parliament. 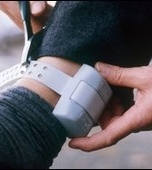 The tag would have to be worn by men who have received a court order to stay away from their partner. The proposal is part of a draft law on conjugal violence. It has cross-party support and is expected to pass easily. According to the government, around 160 women in France are murdered by their husbands or partners every year. Parliament is also considering outlawing psychological violence in the home, because it is seen by many as a precursor to physical violence.